Another Warning from the Power Elite — This Time It’s a Central Bank. Most such commentators don’t have much in the way of data or analysis to back up their claims. They are just appealing to a small slice of the general public that has an appetite for this kind of prognostication. Still, some analysts who warn of market risks and the potential for a systemic crisis do have a lot to back up their warnings. This data includes dynamic systems analysis, historical comparisons, and a sharp eye for what intelligence analysts call “indications and warnings” of path dependent outcomes. The warnings most worth listening to come from the global elites themselves. They have a behind the scenes view of bank capital adequacy, increasing leverage, market complacency, and other indications and warnings of systemic risk. This article describes the warnings of one of the most conservative and technically proficient central banks in the world — the Monetary Authority of Singapore, or MAS. 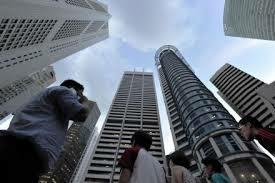 Singapore was on the front lines of the 1997-1998 Asian financial crisis. It was one of the “go to” places for bailout money in the 2007-2008 crisis, when U.S. banks knocked on the doors of sovereign wealth funds from Saudi Arabia to Shanghai for fresh cash to prop up their imploding balance sheets. This is a warning worth listening to. It’s precisely when markets are most complacent that they are at most risk.